Old age will end and humans will remain forever young and vibrant! Yes, this can become a distinct future possibility. No, I have not been out in the sun too long. Also, my summer reading list is empty of any science fiction books. Indeed, a booming new scientific field called “senolytics”, claims that biological renovation is more possible than one might expect. Senolytics studies drugs that kill senescent (aging) cells, which have become dysfunctional due to aging, but yet refuse to die. Research done at the Mayo Clinic published on Monday suggests this approach might actually work one day on aging humans. When they eliminated aging cells from old mice, not only did the animals’ lifespan increase but so did their health. That is, during their extra years of life they were strong and healthy, not frail and sick — as is the case with nearly half of people over 85. Senolytics as a field of serious research is completely valid, says Felipe Sierra, director of the National Institute on Aging’s Division of Aging Biology. “A couple dozen senolytics (drugs) have been identified and companies are working on it. This is a very hot area,” says Dr. Sierra. The reason eliminating old cells might slow aging is that, not only do old cells get weak in the heart, bones, and immune system. But also, they actively release inflammatory compounds that kill both young cells and the builder cells that give birth to new cells. Aging cells put the brakes on the production of new cells. This double whammy means that in old animals, including people, fewer and fewer cells are young and functional. Dr. James Kirkland of the Mayo Clinic and his team first transplanted half a million aged cells into young (6 months old) and middle-aged (17 months old) mice. Though only one-ten-thousandth of the animals’ total cells, the transplanted cells were enough to age them. The mice became slower, weaker, and frailer within two weeks. The 17-month-olds were also five times more likely to die within a year than 17-month-olds not given the aging cells. The results were amazing. Although the transplanted cells survived only about 40 days, the mice’ premature aging lasted for several months. That supports the idea that aging cells do considerable damage, such as by killing young cells and preventing builder cells from making replacements. The researchers found that aging cells produced poisons that attracted cell-killing immune cells. These killer immune cells spread the aging to younger cells surrounding them as well as to distant muscle cells. Indeed, the power of these aged cells is such that just a handful of old cells produced long lasting damaging effects. In Part 2 of this experiment, Dr. Kirkland’s team attempted to reverse the aging process. They injected both the young mice and naturally old mice with two drugs; dasatinib, a leukemia drug, and quercetin, a plant compound found in many fruits and vegetables. Here too, the results were amazing. In young mice, the drugs killed enough of the transplanted aging cells to keep the animals from becoming prematurely slow, weak, and frail. In the 20 months mice group, analogous to 80-year-old people, those given the drugs walked faster, spent more time on the treadmill, and were generally more active than their peers. The oldest injected mice group of 24-to-27-month olds, comparable to 75-to-90-year-old people, lived 36 percent longer than their peers, and displayed robust energy. These results clearly show that aging can be reversed. Clinical trials are underway, as is research on other drugs. Indeed, senolytics has become a business. California-based Unity Biotechnology went public in May. Its group of senolytic drugs target six biological mechanisms that allow aging cells to survive. Unity has launched a clinical trial of one senolytic, in osteoarthritis, and is on track to request FDA approval next year to test two more. The FDA does not count aging as a disease, so any anti-aging drugs would have to show they treat other diseases. 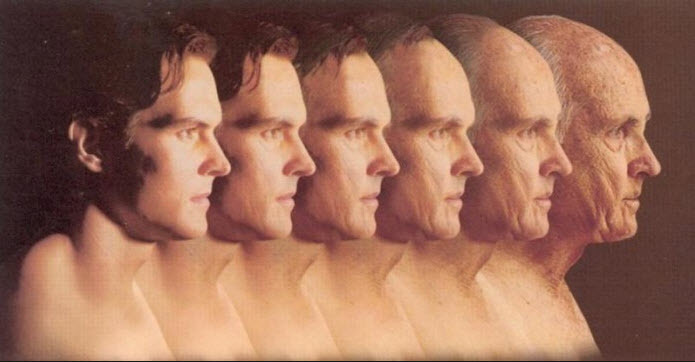 Nevertheless, this research area has much potential for reversing the aging process. This amazing research suggests that Ponce de Leon’s much hoped for Fountain of Youth may be closer than we realize. And, that my friends, is no science fiction.